Cheesecloth: Our cheesecloth is a 32/28 weave and comes in a bleached white finish. It is lint-free, soft and is ideal for cleaning, wiping, dissolving solids in liquid, and much more. 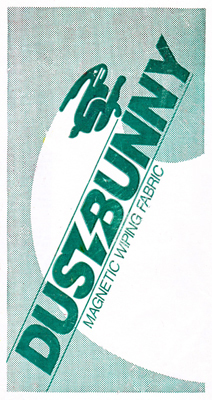 Dust Bunny Magnetic Wiping Cloth: The Dust Bunny magnetic wiping cloth is made of a combination of hi-tech Tyvek and nylon fibers which are chemical free, lint free, washable and reusable. Kimwipes EX-L Delicate Task Wipes: Kimwipes EX-L wipes are extra low-lint, extra absorbent, soft, and nonabrasive. They will not scratch delicate surfaces and clean without leaving any residue. Photex Anti-Static Wipes: Photex Wipes are ideal for use in all applications where static neutralization and dust control is critical. These wipes are soft, absorbent and lint free. They will not scratch because they contain no chemical or polymer binders. 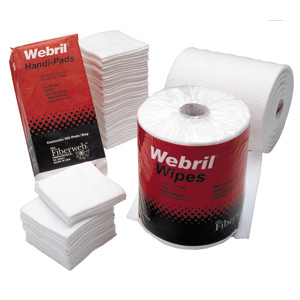 Webril Wipes: Webril Wipes are a 100% pure cotton wipe that contains no fillers, binders or chemicals.